You'll join our Moscow office as part of Digital McKinsey. Digital McKinsey brings together the best of McKinsey’s digital capabilities to help our clients use digital technology to transform their businesses. As part of this group, you’ll join a global team working on everything from IT modernization and strategy to agile, cloud, cybersecurity, and digital transformation. You’ll typically work on projects across all industries and functions and will be fully integrated with the rest of our global firm. 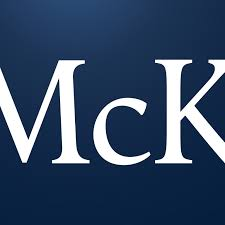 You’ll also work with colleagues from across McKinsey & Company to help our clients deliver breakthrough products, experiences, and businesses, both on technology and non-technology topics. You will be part of a blended cross-functional team and tackle all aspects of the design process. You'll creatively solve complex problems from a diverse set of perspectives, contexts and research inputs, while applying your own informed views and taste. Charged with helping lead client engagements and guiding other members of their design team, you will define and drive the design process moving from insights to ideas, threading design and business thinking together to deliver inventive, durable and thoughtful, solutions from concept to launch. Additionally, you’ll utilize industry design standards and best practices to define and implement design criteria, and apply user centered design methodologies to ensure ideas are based on customer needs. You’ll also lead user research and testing, produce personas, map customer journeys, develop service blueprints, for complex products and services, use a variety of methods to convey ideas and concepts (e.g. storyboards, wireframes, prototypes, etc). You'll perform task analysis and define the User Interface Design through information architecture, wireframes and user flows and validate it through usability testing. Lastly, you'll work with the client project manager to issue regular status reports and troubleshoot problem areas and you'll work with them to manage changes in scope and devise contingency plans. You'll also have the opportunity to mentor others, expanding their capabilities to cultivate and support them through their path at McKinsey.